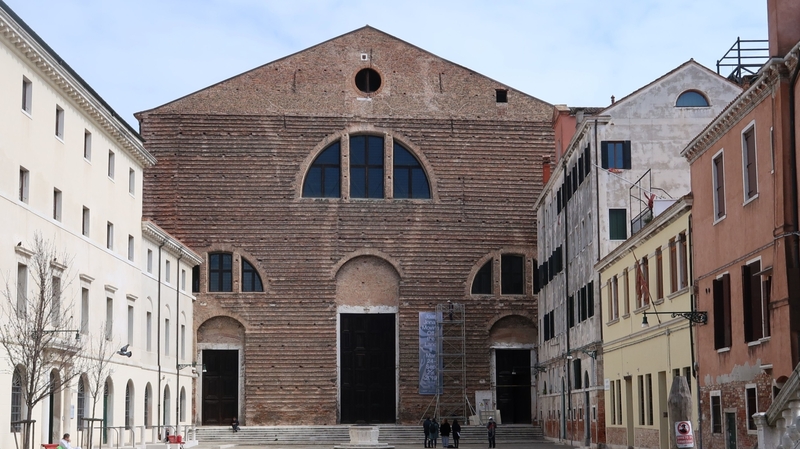 Ocean Space, a new global center for catalyzing ocean literacy, research, and advocacy through the arts, opens to the public in the newly revitalized Church of San Lorenzo in Venice. Spearheaded by TBA21–Academy and building on its expansive work over the past eight years, this new embassy for the oceans fosters greater engagement and collective action on the most pressing issues facing the oceans today. Conceived as a platform for collaboration and exchange, Ocean Space provides flexible facilities for installations, performances, workshops, archives, and research, overseen by TBA21–Academy and its network of partners, including universities, NGOs, museums, government agencies, and research institutes from around the world. The project opens in phases, reintegrating the historic building back into the cultural fabric of the city after two years of extensive revitalization works and more than 100 years of being largely inaccessible to the public. Front view of the Church of San Lorenzo.